[prMac.com] New York, NY - Thousands of Americans are already celebrating inauguration week by playing beamME/Up - a new contest that lets you win a trip just by meeting new people with your iPhone. 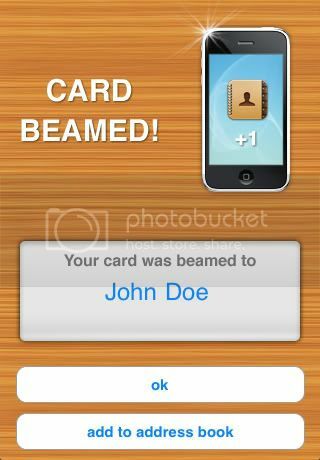 Through January 24th, every new personal or business contact made using free app beamME for iPhone/iPod Touch provides an entry into the beamME/Up Sweepstakes. Bonus entries are also available for completing fun challenges, like beaming people named Michelle or the President-Elect himself. One lucky winner and a guest will fly away anywhere in the US.